Sarah Peroutka Studio: Lonely Tree and "The Cool School"
Lonely Tree and "The Cool School"
The landscape in Southern Oregon and Northern California is often spectacular with dramatic skies. 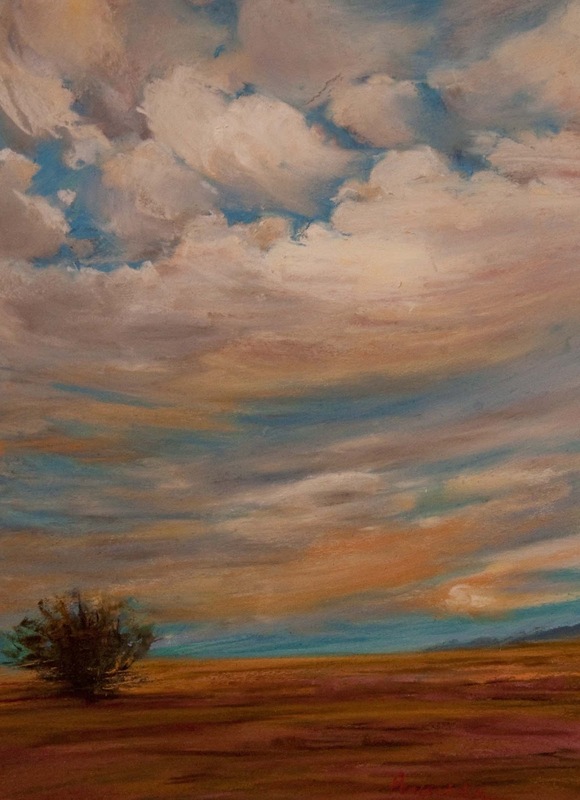 On a car trip from Portland to San Francisco I got many great photos that have translated into paintings that I really love such as Lonely Tree, featured here. On the theme of California: "The Cool School" is a documentary about the genesis of the LA art scene starting in the late 1950s and focuses on the role of the Ferus Gallery, which opened in 1957, in coalescing the movement. Apparently there wasn't a strong West Coast art scene at the time, with only a nascent one in SF--everything was happening in NY. But a guy named Walter Hopps, inspired by an encounter with Marcel Duchamps, had a vision to promote abstract art. As soon as he partnered with the more dynamic and ambitious Irving Blum they created the LA art scene by cultivating and promoting local artists including Ed Kienholz, Ed Ruscha, Robert Irwin, Ed Moses, Wallace Berman, Craig Kauffman, Billy Al Bengston, and John Altoon. Nevertheless, it's telling that it wasn't until Blum brought the theretofore unknown Andy Warhol and his soup can series from NY to LA that Ferus Gallery really took off. Architect Frank Gehry hung around with these visual artists, feeling more energized by them than by other architects. During this time period Dennis Hopper was also part of the gang--it was definitely a boys club.